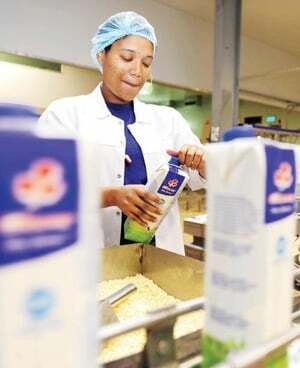 Johannesburg - Food and beverage firm Clover Industries [JSE:CLR] posted a 14.2% fall in earnings on Tuesday, clipped by brisk inflation levels and higher raw material costs. Headline earnings per share, which strips out one-off items, totalled 102.7 cents in the year ended June compared with 120c a year earlier. Consumer spending in Africa's most-advanced but ailing economy is under pressure due to higher personal debt levels while higher input costs have hit manufacturers such Clover and Tiger Brands. "We took a strategic decision to increase prices gradually to protect hard-won market share and sales volumes," chief executive Johann Vorster said. South Africa's main consumer inflation measure slipped to 6.3% in July from 6.6% in June, but that slowdown came after the period under review and at over 6% remains stubbornly high. Clover said sales increased 8.9%t to R8.5bn but volumes were lower as higher prices put off consumers.